Repetition of Angel Number 38 in your life is an assurance from the guardian angels that plenty of wealth is about to materialize in your life shortly as you are about to accomplish your goals. The angel numbers are prompting you to continue in your present trajectory if you have to attain your life objectives. Angelic Number 38 is asking you to remain in contact with your angels and the spiritual energies. Follow your path with optimistic assertions and deeds which will guarantee you with limitless riches. You should be grateful for this grace from the Super Power and should willingly and affectionately distribute your wealth to others. Qualities of angel number 38 are obtained by mixing the traits of Number 3 and Number 8. Number 3 refers to materialization of ambitions and the support necessary for it. It also denotes naturalness, growth and development, clarity and eloquence. Inventiveness and stimulation of ideas relate to Number 3. Number 3 vibrates with the divine forces and ensures their support when required. These forces help you to connect with the energies of others and help in the realization of your heart’s desires. Your life will be full of joy, happiness and affection. Number 8 deals with Karmic Laws of cause and effect and indicates attainment of prosperity and affluence. It has the attributes of independence and perception, honesty and precision, poise and fidelity. Thus the combined vibrations of Number 3 and Number 8 give angel number 38 meaning the qualities of affluence and authenticity, diversification and daring, happiness and hope. 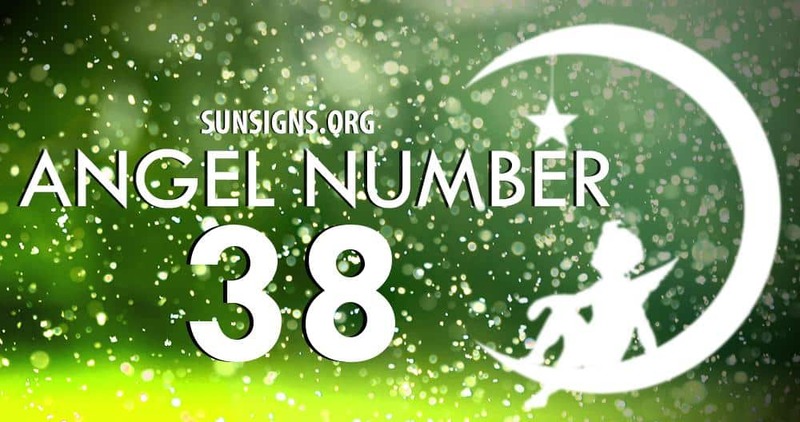 Angel Number 38 is a message from the angels that your effort should be based on your own intuition as well as on divine supervision in creating wealth and riches. This profusion of money will help you to give more to others which will be returned to you manifold.